Our members work hard and accomplish amazing things: marathons, college degrees, trade school certifications and full time employment. Learn more about just a few of our members and check back periodically for more stories. "The most important thing about this program is that I got love. These people loved me until I learned to love myself again. Today, I walk with my head held higher." Norma was born in Honduras and immigrated to Boston in 1970. She moved first to a predominantly black neighborhood and then to a primarily white one, feeling like an outsider in both, teased for her different hair and clothing. Norma refers to this time as when her “self-hatred” started. In an effort to cope with being bullied and being an outsider, Norma turned to drugs starting at the tender age of 12. Crack, cocaine, pot, and alcohol were her escapes, and with them came lying, stealing, and eventually prostitution to maintain the lifestyle. Norma knew that she couldn’t stay on the path she was on. She found herself homeless and ready for a change in her life. A new direction started for Norma at Team Rosie’s Place in Boston, which is where she found Back on My Feet. The team became Norma’s family. She calls them her sisters. They offered her a support system that Norma had never had. Norma felt especially excited by Back on My Feet’s Next Steps program. She learned from the resources provided, attended courses in financial aid, financial literacy, life skills, nutrition, and goal setting. Back on My Feet provided Norma access to social programs that helped empower her. Norma feels that Back on My Feet gave her stronger self-esteem, pride in her accomplishments, and a sense of self-worth. 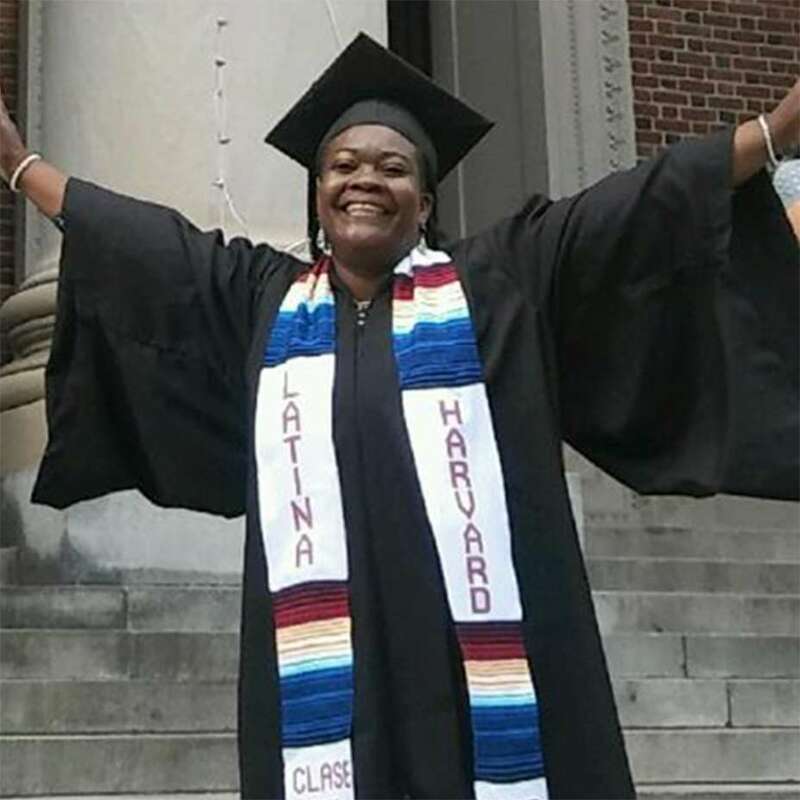 Indeed, Norma graduated from Harvard with a degree in psychology, and she was hired as a Network Leader for Union Capital Boston, an organization that transforms social capital into opportunity. Norma also works as the Executive Assistant at Open Doors to the Arts (ODA). ODA is a program run by the National Alliance on Mental Illness of Boston that provides low-income members of the mental health recovery community with access to low-cost or free arts and entertainment opportunities. "Running forced me to get comfortable with being uncomfortable. So all those demons I couldn’t get past before, I could handle." George was born on a Native American reservation and adopted by an Irish-American family, who raised him in Manhattan. He has fond memories of his childhood, including the book reports that his mother, a teacher, made him do over summer break. A smart guy, George finished public school and went to Ithaca College, where he received a B.S. in Business Administration and joined the school’s ROTC program. Upon graduation, he entered active duty as Second Lieutenant, First Airborne Division. The structure of the military suited him, and he excelled. After a decade of service as a paratrooper, he suffered an injury that took him out of the field. Facing a desk job, he decided to leave the military. He went back to New York and joined the Painters Union. A social brotherhood, George went from drinking occasionally with his colleagues after work to spending close to $150 a night on alcohol. George’s alcoholism continued to be a struggle for the next several decades. He finally tried treatment facilities and AA, but nothing seemed to stick. In a VA halfway house, George still felt like he was “white knuckling it”—holding tightly to his sobriety, but not sure how much longer he could maintain his grip. Committed to the morning runs, George embraced the Back on My Feet community and program, moved his life forward, and stayed sober. Back on My Feet also helped him repair relationships with his family, get a new job in painting and restoration, and find an apartment. “My success is because of Back on My Feet,” George beams. George recently left New York and moved to Denver to be close to his fiancé. Read more about George and his story in this NYPost article! "With Back on My Feet's help and support, I interviewed for the job feeling confident because of the running, resume prep and interview workshops with Accenture. I had run two marathons. I could do this. And I did. I got the job. Then I applied for a promotion, and I got that too. It reinforced that you get what you put in, just like training." 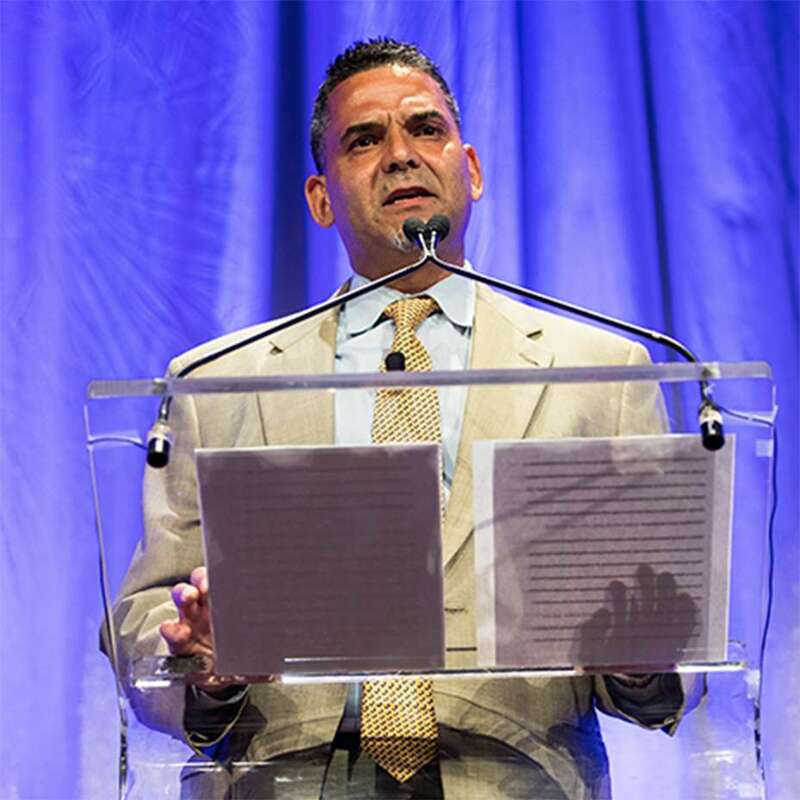 Luis grew up in a loving home in a rough neighborhood of New York. He experienced violence on the streets as a young man and, to escape, eventually joined the US Army. During active combat in Desert Storm, he suffered a traumatic injury and was unsure if he’d ever walk again. 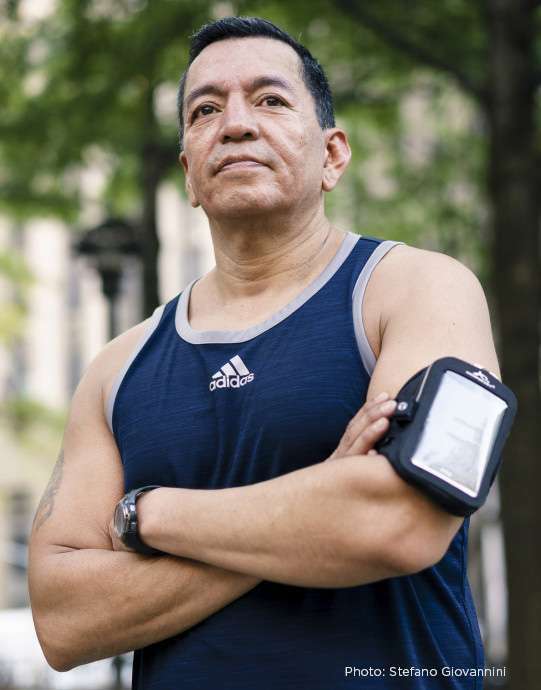 Now an injured veteran, Luis returned home and struggled to recover. Like many former military members, he suffered pain, anxiety, and depression. Luis ended up using and selling drugs to survive. His life ultimately unraveled. His marriage ended; he lost contact with his family; and he felt very alone. Getting arrested was not new for Luis. The way that he was coping with the violence and struggles of his past had led him down a negative path. Yet, his last arrest turned out to be a cloud with a silver lining. At Rikers Island on drug charges, Luis sought a plea deal that would allow him to change his life for the better. He went to a veteran addiction and treatment facility where he found Back on My Feet. After everything he had been through, Luis was determined to make a change with the help of Back on My Feet. Mile by mile, he built strength in his leg. He was so successful that he discovered that he would no longer need surgery. Astoundingly, Luis ran 3 marathons and 6 half marathons after a leg injury that was supposed to mean he’d never walk again. In addition to improving his health, Luis also built relationships with Back on My Feet volunteers. He realized that mending the social connections in his life was also fundamental to his life-altering transformation. Luis renewed relationships with his family and set goals for his future. He found a place to live, got a job at Marriott/White Lodging, and then quickly got promoted. Even with all the responsibilities of his new job, Luis never misses a Back on My Feet event and works eagerly as a mentor to new members. Running with Back on My Feet was the beginning of a new path for Luis. He feels better physically. He’s found meaningful work. And he has rebuilt family ties. Luis’s ex-wife, whom he met when they were just teenagers, came with him to a recent Back on My Feet gala. It was the perfect spot for Luis to honor how much his life has changed. Surrounded by the volunteers who were part of his transformation, Luis proposed to his former high school sweetheart. She accepted. "It is one thing for a corporation to give money, but it is another thing to really get involved. I appreciate everything that Marriott has done for me and for Back on My Feet." Eliyah is a military veteran who struggled with addiction for over thirty years. After leaving the US Army, he ended up homeless and on the street, but he knew that he wanted to make a change. A Veteran’s Affairs caseworker suggested that he work with the Salvation Army Residential Recovery Program in Atlanta. While in the recovery program, Eilyah joined Back on My Feet in 2013. The decision changed his life for the better. “It’s hard to explain what the Back on My Feet community and resources can mean to a person coming out of homelessness or addiction,” he explains. Eliyah was able to get a job with Marriott through Back on My Feet three years ago and now works at the W Hotel in Atlanta. He believes that his work with Marriott has also been transformative. He credits the position with offering him “many opportunities to grow.” Finding Back on My Feet in 2013 was just the beginning of a new life for him. Today, Eliyah remains dedicated to Back on My Feet. He fundraises for the organization; he’s completed five marathons; and he has joined the Associate Board. In December, he will graduate from Atlanta Technical College with a degree in HVAC/R. "Back on My Feet not only gave me the community and physical activity I so desperately needed, but I stand taller now, and I have more hope for my future because of the support they continue to give me." A veteran of the US Army, Shawn suffered a back injury while serving, and during treatment, became addicted to the painkillers. It wasn’t long before he was also addicted to heroin. Shawn was lost. He wanted to see his family, he wanted to get clean, and he wanted to have a life. “For years, I lived plagued with guilt, embarrassed and ashamed, lost in the grips of my addiction,” he says. Shawn then entered a rehab facility, which is where he heard about Back on My Feet. When he started, Shawn says that he was out of shape, still a smoker, and couldn’t even run a couple miles. Today, however, Shawn is a changed man. He completed the Austin Marathon this year and ran a 100k ultra marathon over the Bandera, Texas hill country. He has reconnected with his family, something very important to him, and their relationship is thriving. 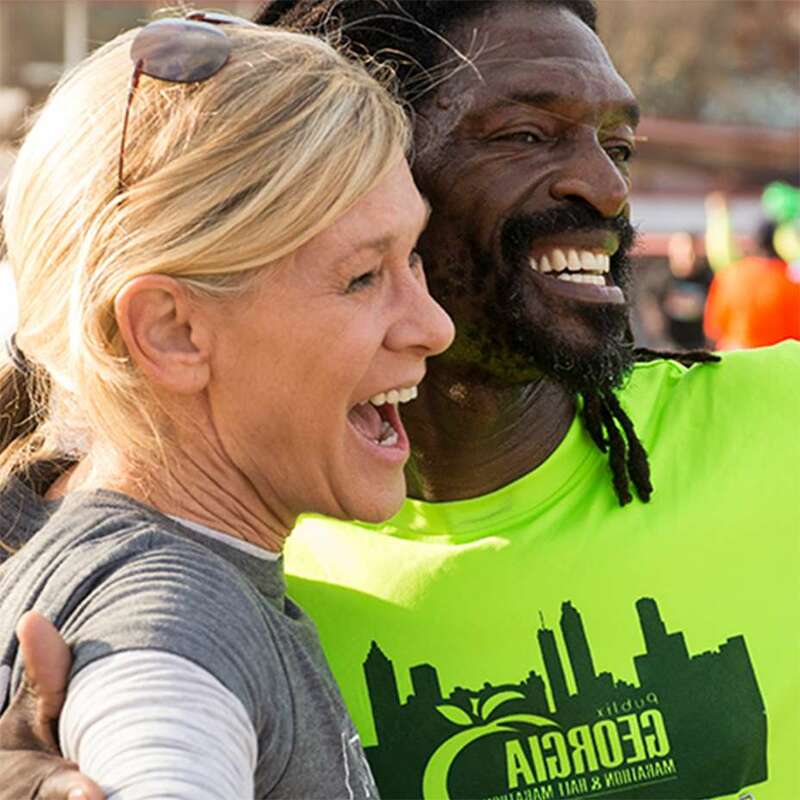 Joining Back on My Feet was such a transformative experience for Shawn that he has now qualified for the elite 2019 Western States 100k ultra marathon. Shawn is now also getting his personal trainer certification through financial aid from Back on My Feet. "Running with people who listen, care, and cheer on my every forward step has been both healing and empowering. With the help of Back on My Feet, I have grown, risen, and now I thrive." For almost 10 years, Mirinia, who goes by ‘M,’ put her kids first. Raising three beautiful special needs children as a single mom had not been easy, but M did well until a divorce and then the recession, and her family lost everything, including their home. Unexpectedly homeless, M made the difficult decision to move her children across the country to live with other family members. There she felt her children would still be able to follow their dreams of going to college. After years of single motherhood, M had to figure out how to put herself first. She soon found help at the Lawson House YMCA, where she joined Back on My Feet. 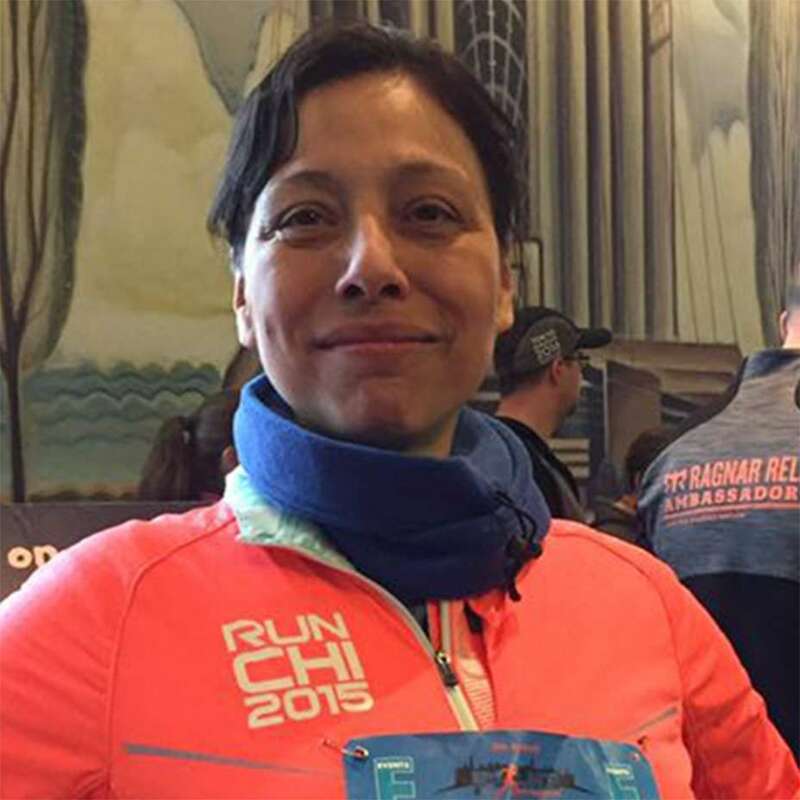 M didn’t think of herself as a runner, but the support and caring social contact offered by Back on My Feet’s volunteers encouraged her to try. As her health improved, so did her outlook on life. Through the Next Steps program, Tools for Success and Financial Literacy classes, M began to think about what it would take to have a better financial future. She was inspired by the academic success of her children, especially that of her oldest son. “If Emmett, who had to repeat 4th grade three times, could get on the dean’s list at his community college, then what’s my excuse?” she said. Working with Back on My Feet, M began to set new goals for her life. That sense of accomplishment and unbridled possibility led M to dream big and apply for a B.A. at an Ivy League school. She filled out her applications at Back on My Feet offices and read essay after application essay to the patient staff. When she received her acceptance letter – and notification of a partial scholarship! – from Columbia University, M felt another one of her dreams had come true. Back on My Feet was even able to assist M by using financial aid to pay for the deposit for her student housing the first semester. With the support of her school counselors, children, friends, and Back on My Feet, M is thriving at Columbia, where she is majoring in psychology and minoring in German and has maintained a 3.67 GPA – all while continuing to work full-time as a barista at Starbucks. She is slated to graduate from Columbia in the Spring of 2020 when she hopes to go on to graduate school and fulfill her dream of becoming a clinical psychologist serving the autism and learning-disabled community. "I had nowhere to go but up. Back on My Feet showed me that if you show up and run and communicate with others, so many doors will open up for you." David grew up in a quiet suburb outside Baltimore. He went to Towson University and graduated with a B.A. in International Studies. Yet, David had always struggled with alcoholism, and while living with his parents after graduation, his addiction grew to include other drugs daily. Because of his addiction, it was a challenge for David to maintain his job and a healthy relationship with his parents, who eventually forced him out of the house. He wandered Baltimore streets for days, high, with nowhere to go, before ending up in the psychiatric ward of a local hospital and then in a recovery facility. David learned about Back on My Feet while doing chores at the facility. He realized that the organization could fill an extremely important social component that he “longed for”—it could provide him with a sense of purpose. Volunteers and fellow members of Back on My Feet did just that. They encouraged David to never give up and to strive for a better life, even after a brief relapse. Through Back on My Feet, David got a job, first at the Marriott as a night auditor, and then additionally as a Front Desk Manager at the Royal Sonesta. Both were direct referrals from Back on My Feet, and both were building blocks for his most recent success: a new job as a Financial Services Representative at a large financial firm. Back on My Feet was such a part of David’s success that he decided to join their Young Professionals Board, assisting in the creation of the local Alumni Association. 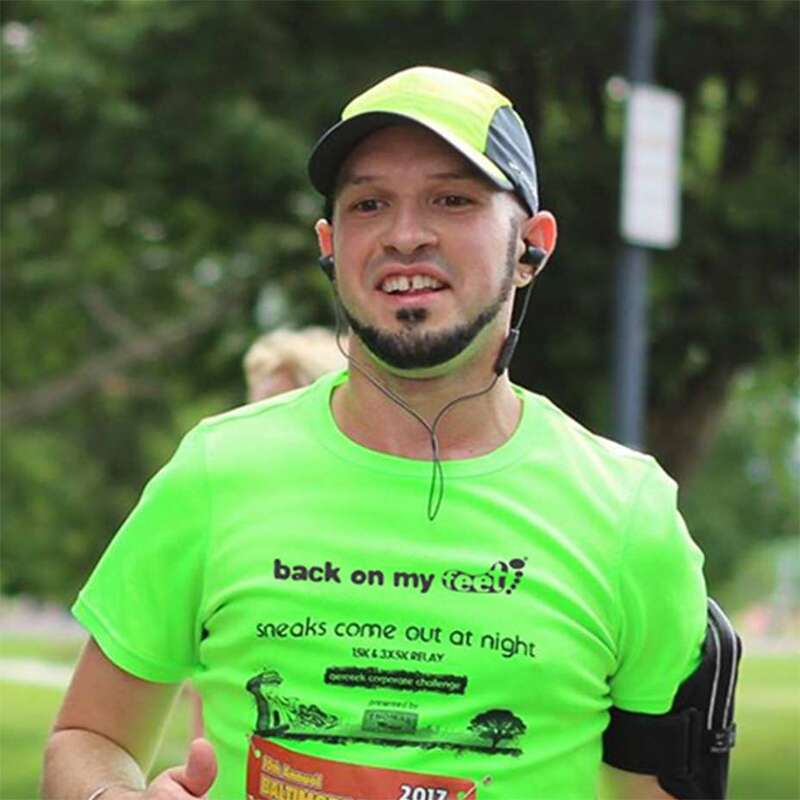 Impressively, David has run five marathons with Back on My Feet, including his most recent, the 2018 Boston Marathon, benefiting Back on My Feet. Read more about David and his road to Boston in the Boston Magazine!